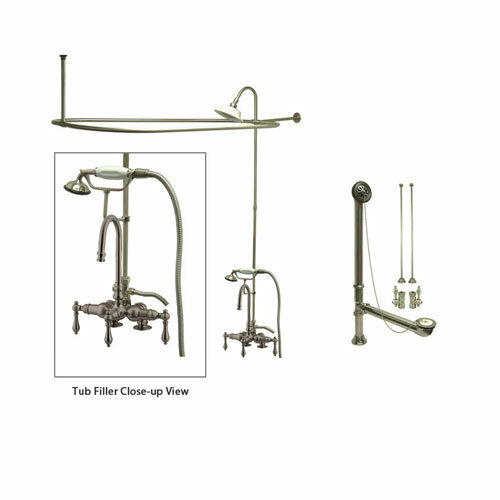 This Satin Nickel Clawfoot Tub Faucet Shower Kit with Enclosure Curtain Rod 13T8CTS is completely ready to install in your clawfoot tub today. This package will allow you to have a normal shower, a clawfoot tub filler, and also a handheld shower. 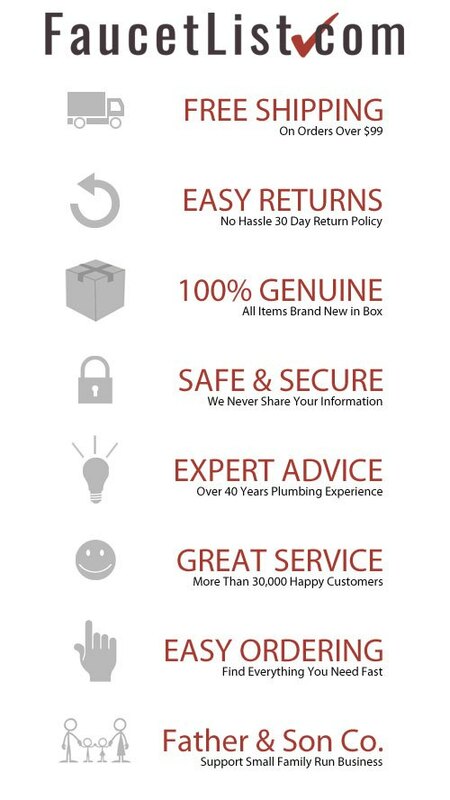 Using our 40+ years experience in the plumbing industry we have put together these packages to simplify the buying process. Take the guess work out of finding all the compatible parts on your own and let us help! Make things EASY and purchase this ready to install package. Please note, although the finish of the items in the pictures may vary slightly, in actuality they will match each other perfectly! With this package all you need is a clawfoot tub and you will be up and running.